Although the project formally ends on 31 July, the project team are still hard at work giving talks and disseminating information on the projects main findings. 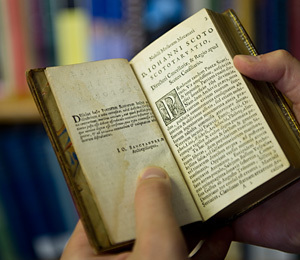 On Monday 11th May Steven Reid is presenting an overview of the project to the Glasgow 'Early Modern Work in Progress' seminar, which will be held between 12:30 and 14:00 in Room 401, 2 University Garden. A few days later, on Saturday 16th May, Steven will be discussing what the project has revealed about the usage of Classical mythology in Scottish Latin literature at a seminar in the 'Early Modern Studies in Scotland' series, focussing on 'Myth, Literature and Politics, 1500-1700', which will be held between 1 and 5pm in Room 202, 4 University Gardens. The final project conference, 'New Perspectives on Jacobean Scotland', will also be held at Glasgow on Thursday 30 July - check back soon for more details!